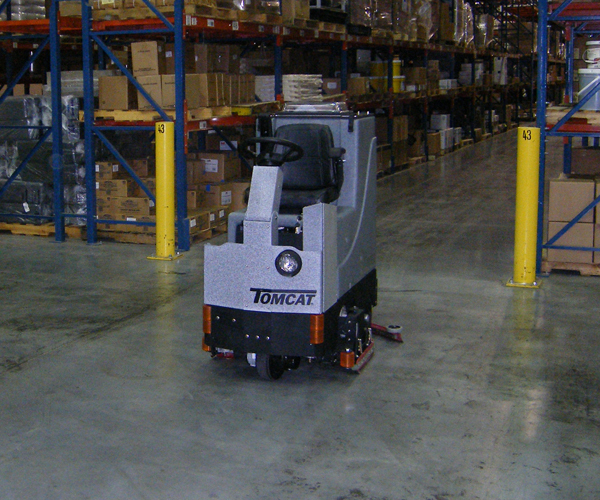 Manufacturing facilities, whether it's metal, plastic, or wood they are working with, they are some of our most loyal customers for sweepers and scrubbers. Even with the latest dust collection systems and modern fabrication equipment, there is something about the "manufacturing" process that tends to make a mess, which our sweeper-scrubber combo machines are ideally suited for. Manufacturing facilities often house industrial machine, material handling equipment, large pillars and other items which are potential collision hazards. Unlike a battery scrubber built for the soft walls found in hospitals or shopping malls, our scrubbers are built to absorb and survive such collision. We've also found the industrial applications can require the walk behind sweeper or rider scrubber to digest large quantities of debris and harsh fluids. Our scrubbers have fully accessible recovery tanks and stainless fasteners to handle the most harsh applications.